By hook or by calculation book. We deform, emboss and mill on our own specially designed equipment. We use 2 and 3 dimensional profile bending techniques. 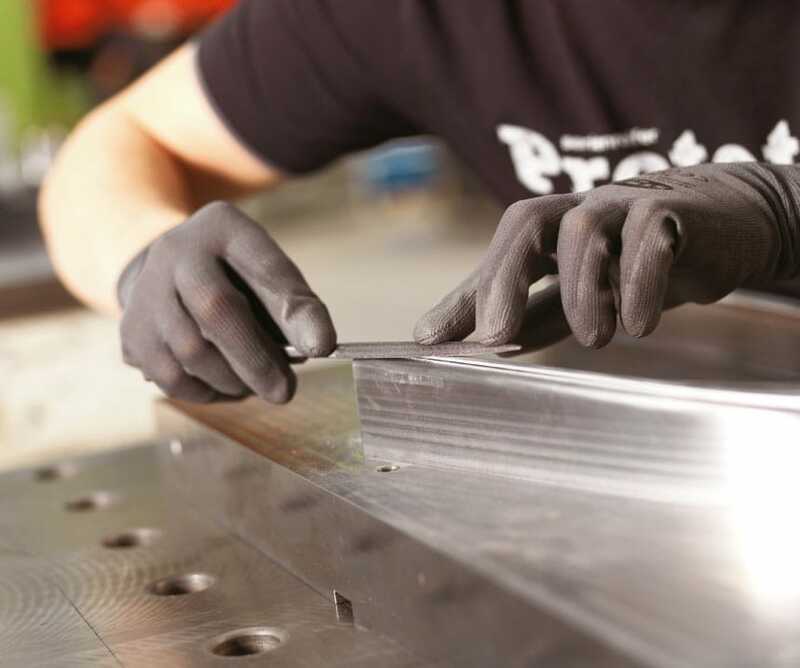 By reshaping already milled aluminium profiles, we save significant material while retaining identical quality. Our production spectrum ranges from custom minimal quantities to entire assemblies. With welding, assembly and coating work, we provide your installation-ready products from one single source.